Bishop Donal Murray has been invited by the Diocesan Pastoral Council to address members of Parish Pastoral Councils from throughout the diocese on Share the Good News. Share the Good News is a ten-year plan for handing on the faith in parishes throughout the country and is relevant to all Pastoral Councils. I enclose a short brochure on this work for your information. Bishop Murray will speak in the McWilliam Park Hotel on Thursday February 16th at 8.00 pm. Tá cuireadh tugtha ag Comhairle Thréadach na Deoise don Easpag Dónal Ó Muirí labhairt le baill Comhairlí Tréadacha paróistí ar fud na deoise ar “Share the Good News” (foilsithe ag Veritas 2010).  Feachtas deich mbliana is ea “Share the Good News” chun an chreidimh a bhuanú i measc pobail uile na tíre, rud atá tábhachtach do gach Comhairle Thréadach. Istigh leis seo tá bróisiúr le thú a chur ar an eolas. San McWilliam Park Hotel a bheidh an tEaspag Ó Muirí ag caint ag 8.00pm, ar an Déardaoin, Feabhra 16. Next articleTuam Cathedral Webcam makes the news!